The Armenian minister of Science and Education took the initiative of returning the fragments of a statue of the Armenian pagan Goddess Anahit from UK to Armenia. 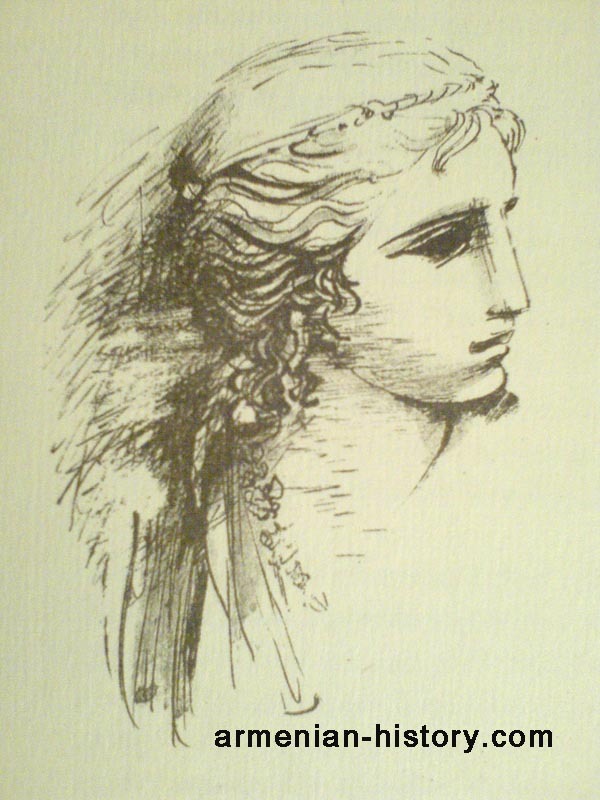 Anahit was the goddess of fertility and healing, wisdom and water in pre-Christian Armenian mythology. In early periods she was the goddess of war. By the 5th century BC she was the main deity in Armenia along with Aramazd. The annual festivity of the month Navasard, held in honor of Anahit, was the occasion of great gatherings, attended with dance, music, recitals, competitions, etc. The sick went to the temples in pilgrimage, asking for recovery. Armenians used to erect golden statues of Anahit which where sometimes plundered by the Romans. Anahit was always highly regarded by the Armenians even by the early Christians. According to ancient Armenian historian Agathangelos, the first Christian King Trdat praised the: great Lady Anahit, the glory of our nation and vivifier . . .; mother of all chastity, and issue of the great and valiant Aramazd. 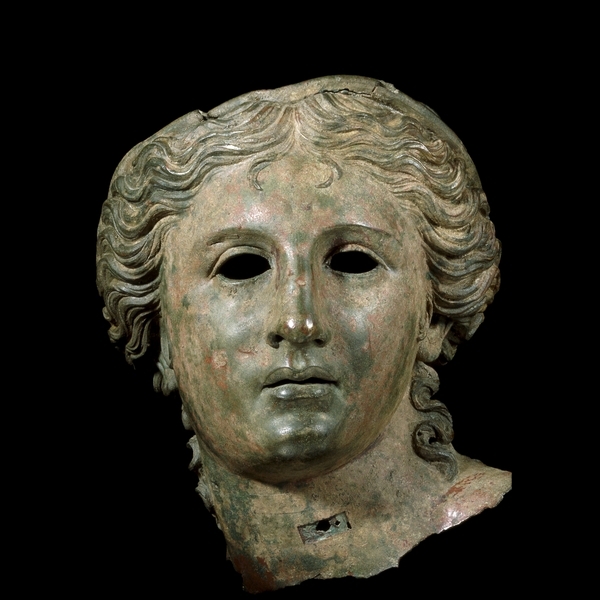 Currently the remains of the bronze statue (head and hand) are in possession of the British Museum. According to their website, the fragments of Anahit’s bronze statue were accidently discovered in 1872 by a farmer digging the land in Satagh, Armenian Highland. The head made its way via Constantinople (modern Istanbul) and Italy to the dealer Alessandro Castellani, who eventually sold it to the British Museum. The hand was presented to the Museum a few years later. As an important relic of the Armenian history and culture, it belongs to be cherished in the land of its people. The widespread turmoil and deportations in the region of historic Armenia have robbed the Armenian people of the very artifacts that would represent the Armenian culture. The physical presence of these remains in Armenia will give the Armenian people the chance to visit their history in museums and galleries without having the need to travel more than 2000 miles to do so. The sentimental value of the Goddess Anahit’s statue is worth far more to the Armenians than to random tourists and visitors of the British Museum. Its importance to Armenians is not only attested by festivals still practiced but also by depictions on modern Armenian currency, postal stamps, books, paintings, company logos, popular name usage and much, much more. Similar cultural retrievals have proven to be successful for countries like Greece and Egypt. Particularly Egypt has succeeded several times in returning cultural values from the British Museum. We can do the same! And/or joining THIS Facebook page. Eternal gratitude to all participants, and blessings of Anahit! Thank you for your support and for spreading the word through such an informative way! Your blog is featured in the “Updates” section of the Petition page. Please contact me through my e-mail, there’s something I would like to ask you about this topic. I thought Navasard was in honor of Aramazd’s eldest daughter, Navasard.